Rachel Kushner writes frequently for Artforum and coedits the literary, philosophy, and art journal Soft Targets, whose focus is political inquiry, poetry, and literature-in-translation. Her debut novel, Telex From Cuba, was nominated for the 2008 National Book Award. Telex from Cuba takes place in Oriente Province and Havana, Cuba, during the 1950s. We learn about the American businessmen in charge of the country’s sugar and nickel mining operations, and the Cubans, Dominicans, and Haitians who work in the mines and cut the cane in a form of indentured servitude. Meanwhile, from their base in the mountains above the sugar and nickel operations in Preston and Nicaro, Fidel Castro and his revolutionary army battle the forces of dictator Fulgencio Batista, whose surrender on New Year’s Day fifty years ago introduced hope to the Cuban underclass and fear to the businessmen who relied on their cheap labor. Kushner will join us for the second session of the 27th annual Key West Literary Seminar, January 15-18, in the theater of the historic San Carlos Institute, which stands today as a museum to an earlier Cuban revolutionary, José Martí. In this final interview of our 2008 series, conducted by email over the holiday season, Kushner talks about the experiences of her mother’s family living in Cuba, the real Christian de La Mazière, and the process of creating fiction from the Cuban revolution. Littoral: From the book jacket, we know Telex From Cuba is based in part on your mother’s experiences as a child in Oriente, on land owned by the United Fruit Company. How much of the book is family history? Are there characters that are closely based on your mother’s family, and the people they knew? 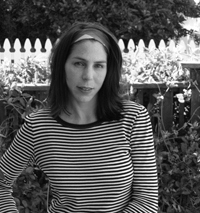 Rachel Kushner: The original spark, my idea to write the book, was due to the fact that my mother had lived in Cuba as a child, and I’d gone there with her and two of her sisters to see the strange, former American colony in northeastern Oriente Province where they’d spent part of their childhood. The historical circumstances upon which I attempted to build my novel– an American colony in Cuba, and the various roles the people who lived there played in the revolution– was a fictional schematic that I borrowed from real life, the lives of my mother’s family and the people they knew and that I discovered, independently, through my own research. I did, at least initially, draw heavily from the mountains of archival material my grandparents had left behind: every letter they’d written from Cuba had a carbon, they saved every calling card and receipt and budget book and party invitation– I mean everything– so I had access to this very rich archive of the lives of the Americans who managed and controlled Cuba’s sugar and nickel– the country’s most valuable resources. But the novel itself is a work of fiction. I am a fiction writer, not a memoirist, not a historian. As a literary figuration, it is ruled by the imagination, and structured by it, too. If the book were simply a fictionalization of my family’s history, it would have been a rather dreary exercise– not because their lives were in any way dreary, but because fiction has to rise up organically and reconfigure the past on its own terms, via a logic that’s aesthetic, not factual. I learned this the hard way. At first, I was rather attached to some of the details I found in my (long-deceased) grandparents trove. But those details so often caused problems. They weren’t invented, and so they lacked the suppleness of context. The invented detail fits with the mind’s own contextual logic. The “real” detail, by contrast, is often so much less believable. Much of what creates “my” Oriente Province is a synthesis, a false reality I was only able to generate after sifting through the details of the real place. Overall, the proposition of Americans of various sorts leaving the States to live in a colonial outpost, running away to become more themselves, or get their share of what they think they deserve, and the tacit race and social hierarchies they encounter, and comprise, is a proposition I worked out after having thought a great deal about my own grandparents’ lives. So in that sense the whole project is subtended, or ghosted, by the experiences of my family. But as I said– fiction is fiction, and not “about” any real person’s life. And because of the mysterious process of writing fiction, and its special integrity, I wince a little when people describe my novel as “based on.” Publishers rely so heavily on back-story to promote novels these days– because they think it sells, and maybe it does– but novels don’t simply enact the real as it took place. They do something else, stranger and more complicated. L: Where did your mother’s family go after the revolution? Did they ever return? Did you grow up with an awareness of Cuba and Castro, or did this come later? RK: My family actually left before the revolution. I think my grandfather was fired. He was very disappointed to leave Cuba. My grandmother, far more closed-minded, was happy to leave the “natives” and their lack of love for iceberg lettuce and proper English. The episode in my book of the Americans who get rescued by aircraft carrier because the town is being strafed by Batista’s military planes is drawn from a situation that really occurred in Nicaro, but my own family was not there for it. They ended up in Chattanooga, Tennessee, after having first moved back in with their own parents, in St. Louis. They had to split up their children because my grandfather was unemployed. Although this occurred before the Cuban revolution that ejected the Americans from Nicaro, the predicament is in some sense the same: having escaped the US only to wind up returning, jobless and on some level estranged. After my grandfather regained his footing, got a job and re-established a life in Tennessee, I know that he was very amused by Castro. He saved all kinds of clippings from the early sixties, and paid attention. He’d spent his time there, of course, and he was not surprised by the comeuppance– especially because Nicaro played a particular role in the whole thing. The rebels were right above Nicaro, and Fidel later railed against the Americans for owning and controlling Cuba’s incredibly valuable nickel mines. My mother and aunts are all quite far to the left, politically, which is unusual for Americans who lived in Cuba, but for them, it is that experience that politicized them. I had heard about Cuba my whole life, my mother always cooked Cuban dishes, played Cuban music, talked about her childhood as this wonderfully free time in her life. I went with them to Cuba, for the first time, in 2000, which is when I started writing the book. They were the only ones of the Americans who had lived in Preston and Nicaro ever to go back to the United Fruit and nickel enclaves, respectively. Most of the people who lived there were unsympathetic to the revolution and had no desire to see what became of their once-elegant world, the sovietization, the pollution, the shabby state of their country club and manager’s row. But my mother and her sisters still feel very connected to the place. Quite simply, they’re rather pro-Fidel, because the people they saw working in the canefields and the nickel mines and as servants in their parents’ homes have all benefited from the revolution. Obviously this is a sticky issue, and not everyone feels this way, but my mother and her sisters lived there, and I respect the context in which they have made their political judgments. As a student of Latin American politics, my awareness of Fidel, growing up, was that he was the first Latin American leader to stand up to the U.S., and as a child, this impressed me greatly, lack of political freedoms and embargo-related privations notwithstanding. L: How much time did you spend in Cuba? Where? How did you get around the travel ban? RK: I spent about two months there, all told. Mostly in Nicaro, which is in the Nipe Bay region. But also Havana, Santiago, Holguín and that whole province: Preston and Banes, the two United Fruit towns; Moa, the other nickel-processing town; Birán, where Fidel grew up. Professional researchers may travel legally under a general US Treasury License, a far easier way to go. I flew direct from Miami. L: Your Christian de La Mazière is a real villain—an execution instructor and a double-dealer involved simultaneously with the Castros, Batista, and Prío, as well as the notorious dictators of neighboring Hispaniola, Francois “Papa Doc” Duvalier and Rafael Leonidas Trujillo. What is known about the real La Mazière? What made him appealing as a character? RK: I’m so glad you asked about La Mazière, who takes up a good portion of my book, and is the character whose interiority is most exposed to the reader, and yet so often my novel has been described as being told by the two young Americans, as if the French Nazi were this curious blind spot. To me, he is very much at the center of things. While I’m amused that you call him a villain, as the designation is an acknowledgment of his affective role, I don’t quite see him that way myself. At one point Everly has a kind of musing on her little sister’s amorality and the difference between that and immorality, and in a way it echoes La Mazière (although perhaps the distinction would be his own– that he is not in opposition to morals but outside of them). In fact, you’re probably right that he is a scoundrel. Certainly the “real” La Mazière, upon who my character is based, is very much of a scoundrel. He was an aristocrat who wrote for a fascist newspaper during the war and then, in August of 1944, just before the allies rolled into Paris, he fled east and enlisted in the Charlemagne Division of the Waffen SS. I learned about him in Marcel Ophuls’s documentary The Sorrow and the Pity, an incredible film (which most people know only from its reference in Annie Hall, which pokes fun at its 5-hour length, but in fact the film is riveting). Despite his fascist background, he comes across in the film as strangely, seductively, sympathetic. The film was this scandalous outing of him and his past: by that point, the early seventies, he’d become something of a cultural celebrity, a film producer who dated the French pop stars Dalida and Juliet Greco. La Mazière was incredibly handsome, charismatic, and articulate. There is a sense of reflection and depth, as if he wants to know himself, his own motives, and acknowledges how incredible, treacherous, and strange it is that he would wind up fighting in a German uniform, alongside Nazis, against France. He seems to bring elegance and reason to a series of decisions that utterly lacked both. And so, if seduced, a witness sucked into his entrancing monologue about his Nazi past, in the Ophuls film, finds herself at the heart of contradiction, his contradiction. He speaks wistfully about occupied Paris and how glorious it was, and one grasps immediately that he is sharing a truth that few would; so there’s a curious integrity to him compared to the usual fictions about wartime France, that somehow everyone was in the Resistance. I knew immediately, upon seeing the film, that I wanted to send La Mazière to Cuba to train revolutionaries. It’s a little complicated to try to explain why. He represented for me a kind of literary figure as well as a political figure, “The Adventurer” in a Malraux-ean sense. My La Mazière is well read, thoughtful, self-aware, and then again he brings a heartlessness that was useful in depicting the Revolution with a bit of distance, a colder eye. Also, his superimposition of Occupied Paris onto Havana fits with a general historical tangle that interests me– the manner in which historical circumstances become a shifting set of symptoms and correspondences among different times and places, so that Havana’s brush with, say, the Haitian Revolution, leads us back to France and someone like La Mazière, for whom the Enlightenment is the original travesty of his national heritage. The instinct to send him to Cuba, it turns out, was not so far off from the postwar life of the “real” La Mazière–who, I learned after I wrote my novel, had ended up in Togo as military counsel to General Eyadéma– a life that speaks of the fallout of colonialism, which is what “creates” his role as an opportunistic and calculating adventurer, in my book and in real life. La Mazière recounted his experiences in two memoirs, “The Captive Dreamer” and “The Wounded Dreamer,” which are reflective in the manner that he is, in Ophuls’s film. Late in life, he reverted to a more blunt fascism. He died in 2006. Raul and Fidel Castro. How does what’s already known about a figure influence how you render that character in fiction? What is different about creating, say, an Everly Lederer, from creating a young Fidel Castro? RK: Well, on a technical level they’re quite different. Everly’s point of view is accessible to the reader– she’s fairly interior, even in her function. To me she’s about a kind of capacity for fantasy and dreaming, and within her fantasizing, there is a talent (I hope) for pointing out adult contradiction, and then again an ability to remain open to what she sees around her in a way the adults are not, because they are constrained by their judgments. Fidel appears here and there but we have no access to his thoughts. At the end of my novel, he does speak at length, which was my way of “doing” a Fidel speech. These moments in revolution are of great symbolic importance, and I wanted his voice to suddenly come up as the official, rhetorical voice– a kind of nationalistic hope, at that point, not so much an ideological voice– speaking for the rebels we’d glimpsed in various scenes in the mountains. My fictional Fidel was something of an extrapolation from certain smaller things I’d picked up from the way the real Fidel spoke and wrote when he was young. He used this expression, “I pulse this terrible reality” after Batista staged his coup, and locutions like that became jumping off points. With other of the historical figures, like Hemingway and Errol Flynn, I wanted there to be a bit of humor. In the case of Hemingway, I made him nothing like the real Hemingway. He’s fanciful and sensitive, a “pansexual” who simply doesn’t bother to notice gender when it comes to dance partners, and, we assume, lovers. Because these well-known figures don’t have dimensional depth in terms of the reader’s access to their minds, they are all about impression, and so they’re easier to create, than, for instance, if I was trying to write from their perspective and claim it was a true portrayal. I was and am interested in an effect of truth, but it seemed like it would be drudgery for the reader to get “the real” Hemingway, who is difficult to write about without falling into cliché, and “the real” Fidel, who is so much more than a cliché; he’s too loaded a figure to exist as one person depicted by a novel. He is a cipher, best left that way. L: Telex ends just as Castro is taking power, and I was struck by how tentative and chaotic the event feels, in contrast to the hardened ideologies of more recent times. How was it to imagine that time? RK: Perhaps tentative and chaotic was the goal. It was much more interesting to attempt to think about that moment– the actual moment– as this brief, open interim of sheer possibility, without all its heavy historicizing and “motivated” hindsights (from either position, for or against). Revolutions are never decisive moments. When the old order is eradicated, ambiguity comes into the picture, often followed by waves of chaos and fracturing, excitement, disappointment, and, sometimes terror. In terms of idealizing, this moment in Cuba was also happening elsewhere in the fifties and sixties, it was a wave that had great hope and significance behind it, as national liberation movements were exploding around the world. Revolution meant shrugging off hundreds of years of exploitation– in Cuba, as well. I wanted to focus on the moment, but partly through the eyes of a witness who has his own jaded view of revolution and knows that it is a process, not always pretty. La Mazière quotes Robespierre in a couple of places, verbatim, a private joke between him and himself. He encourages the rebels, of course, but from a rather cynical place. He loves tumult and change, but as a sophisticate and scoundrel who feeds on chaos, he understands better than they do that power vacuums are not easily filled. L: Today, with Castro fading and Obama coming in, I have a sense that old ideologies are softening; and a book like yours gives me hope that, at least in our imaginative life, we’ll begin to see Cuba and the Caribbean with more candor and nuance. How can literature and the imagination help us understand the peculiar politics of the 20th century Caribbean, when the Duvaliers, Trujillo, and Castro all held sway? RK: Candor and nuance sounds good, and so I hope what you say comes to pass: in our imaginative life, it seems reasonable to expect. But in terms of politics, I don’t know about Obama and Cuba: Castro has pretty much faded, and yet the embargo remains, as well as the tough talk. There is no real evidence that Obama will change things anytime soon. He’s made as far as I know really only the one policy speech on Cuba, to the Cuban-American community this past May, in Miami, where he hovered around the vague platform of “libertad”– vague because just being for freedom could imply so many things, from opening diplomatic relations to invading! And anyway, when have we ever been for liberty in Latina America? How about a platform of respect for other nations’ autonomy? That would be a true softening of our own proprietary claims on the hemisphere. In responding to the last part of your question, read Alejo Carpentier’s novel The Kingdom of This World and C. L. R. James’s incredible work of history, The Black Jacobins, and tell me you would have been able to grasp the force and fever dream and tragic and amazing series of events that led to Haiti’s revolution, without reading both the novel and the nonfiction work. Each contributes its part. History is not linear, just as life isn’t. Aesthetic logic goes a long way toward accounting for gaps, mysteries, and contradictions. In terms of the peculiar politics, as you put it, of the 20th century Caribbean– Haiti, the Dominican Republic, and Cuba– in fiction and outside of it, candor means acknowledging the United States’s geopolitical dominance in the hemisphere, this country’s historic support of a pageantry of peculiar and glorious dictators that were then reviled for their baroque and venal, vainglorious and violent policies, even as each of them, like Trujillo, Papa and Baby Doc, were perceived as politically useful to the U.S. and propped up over and over by our occupying military troops. In terms of the more synthetic, aesthetic realms, the long 20th century and its fascinating, character-based political leaders in the Caribbean is rich material, hard to resist. I enjoyed this interview a great deal because the littoral where reality and imagination meet in fiction has always fascinated me. Good fiction functions rather like myth, illuminating truths with more depth and realism than facts. I had the pleasure of bringing this site and all its tendrils to the attention of my college classmate Melinda Lopez who wrote the play “Sonia Flew.” She said she had head about Rachel’s work and then, after reading this, took the plunge via her favorite online portal to get the book. I had coffee with Rachel Kushner’s parents in SF yesterday, who told me of their daughter’s work. today and Racael’s comments on Obama. In near future. Good read! I am fascinated with her story. I lived in Venezuela for 6 years just after and forward from the Revolution when Fidel took over.I learned a lot from her book and her answers in the interview. I also have visited Key West.